The Rubber is Hitting the Road | A Daily Dose of Zen Sarcasm! Zip-a-Dee-Doo-Dah (Day twelve), originally uploaded by Madame Meow. I don’t blame you if you don’t remember my little sidebar project about doing one hundred and one things in one thousand and one days. I admit, I have tried to forget it every once in a while. It’s easy to get cocky when you have about three years to get all these lofty things done. But when you start to realize that it no longer is three years but just a little over ten months and change that separate you from being a person with a list to being a lame(r) person with a severe lack of stick-to-it-iveness. So it’s nice to know that today, I can start to cross an item off my list: after several years, many tries, and countless barbs from the Cool People of the World– a.k.a. 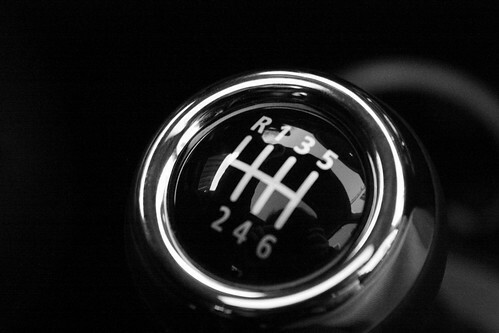 Those Who Know How To Drive Stick– I am slowly trying to learn how to drive a manual transmission. It is exciting. I shall keep you posted. 12 Jan	This entry was published on January 12, 2010 at 10:01 pm and is filed under Uncategorized. Bookmark the permalink. Follow any comments here with the RSS feed for this post. I can teach you in one day, but not on my car. I am a non-driver, who is to scared to learn how, so consider me in deep admiration of you taking on this project.